It is the largest pop culture convention in the Midwest. And when I say pop culture I mean, all of pop culture. There were many sights I recognized like R2D2’s rolling around the hotel floors, Captain America’s in costume, Dead Pool outfits. And there were sights I have never seen before… costumes, makeup, capes and such. Some of which I think were just made up and not based on any comic. We certainly stood out in business attire and button-down shirts amongst a sea of tights, capes and fake weaponry. I suppose we are all playing a part to some extent. All of it made me think about the costumes we wear every day, the masks we put on, the capes we don, for all the places where we blend in and the places we stand out. 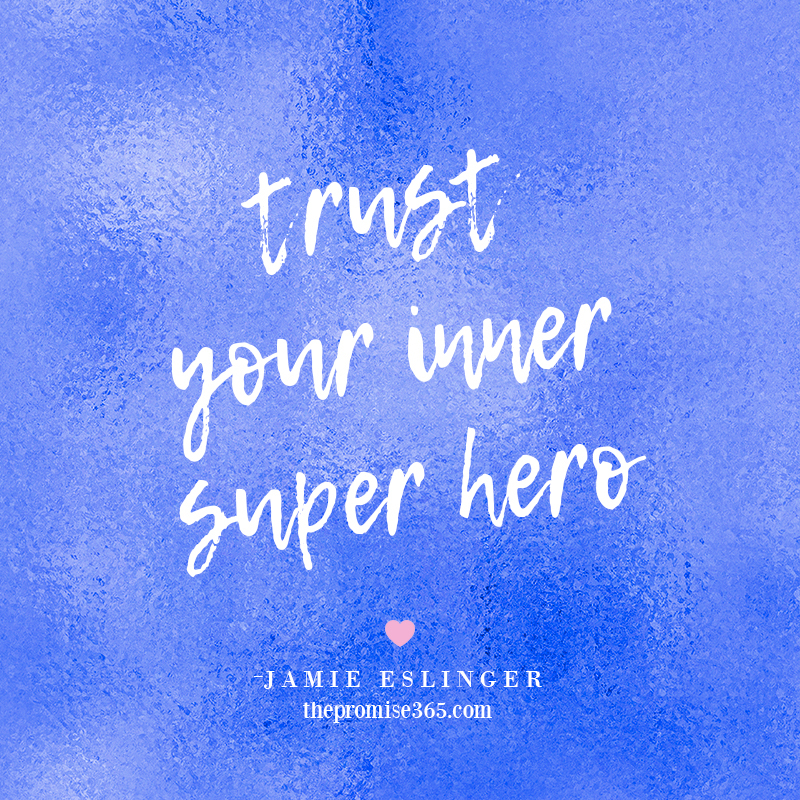 I think the trick is to trust your inner superhero no matter where you land. Ah… it’s the last night of one big event here in Chicago. It has left my heart full but my feet sore. I can deal with that balance because it’s a good tradeoff. 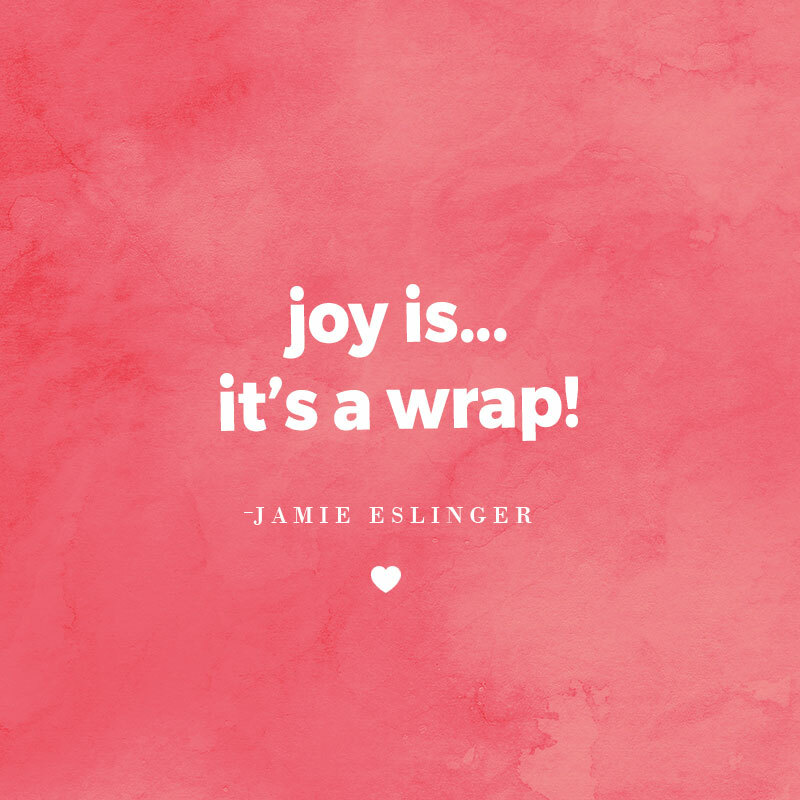 The best part of any event is the three magic words: it’s a wrap! 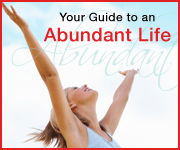 So for me, tonight, I am full of joy to say this blog post is short and sweet. It seems I am experiencing joyful eating from the west coast to the east coast with one great stop in between. 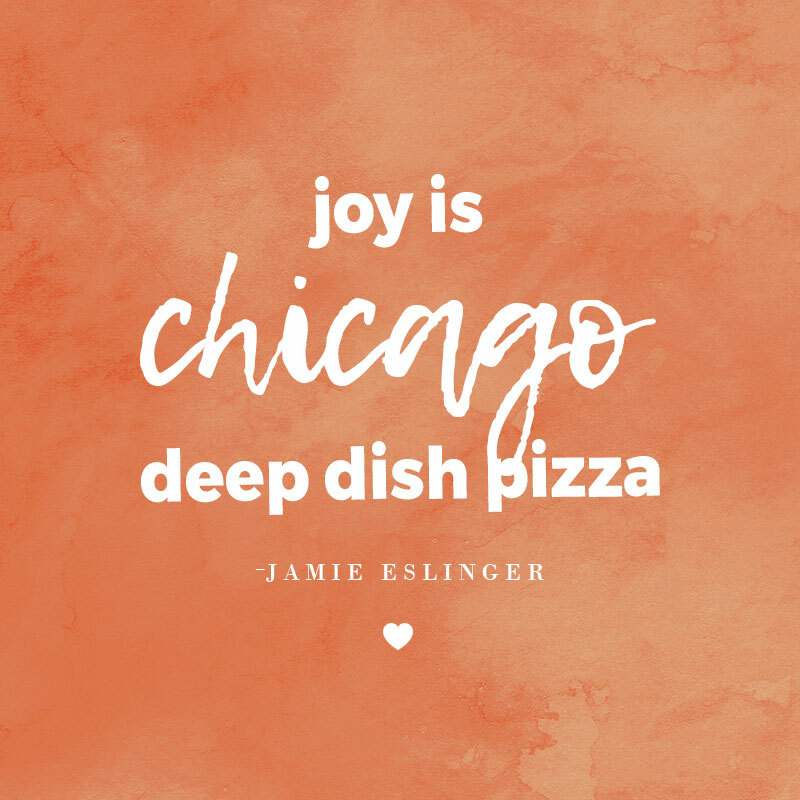 Isn’t pizza is a joyful slice of life? 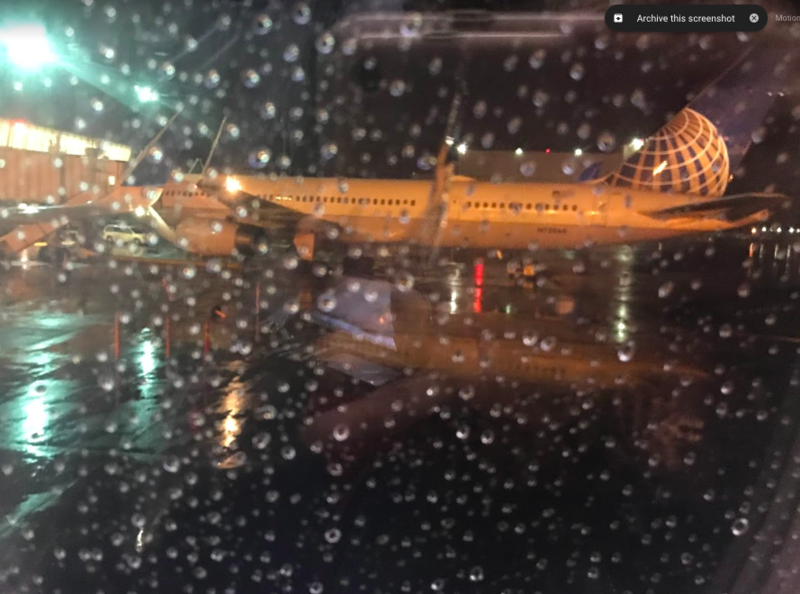 This morning, very early in the morning, I took a flight on United out of Seattle to Chicago. Just after the engines revved up and we gained speed the man across the aisle from me began to murmur and then wail. I scrambled out my seat trying to find the call button in the dark. From there the chaos ensued. The stewards, a nurse and a doctor on board, both came to his side. A full backpack of medical supplies was laid out next to my seat. Medicine. Oxygen tank. Stethoscope. The crew of doctor and nurse and flight attendants came to a quick conclusion – the plane was turned around and routed back to Seattle. Just as we landed, the nurse who came to this man’s rescue, who now sat next to me holding an oxygen tank said, “We landed just in time.” Then she showed me the tank that was almost empty. It was dark, early-morning, long before the sun peaks out of the clouds. The medics came onto the plane and helped this man off. The nurse followed. As I sat in the dark looking out my little plane window I was in awe of the helpers who helped in a moment of crisis on this plane. The stewards. The doctor. The nurse. And all the passengers who not once complained about the flight connections they were all going to miss. All strangers. But all so compassionate and calm. I think that couldn’t be more perfect …or perfectly timed. I’m sitting on the train and soaking in every moment of the rolling tracks. I have a strange fascination with train travel. It’s slow. But, as I sit here absorbing all the people and conversations around me, I realize it is so kind. I wonder if there is a relationship between the two? Kindness can be fast too, of course. But maybe the slow kind of kindness is the deep kind. There is so much more kindness on a train than a plane. Like more leg room and bigger chairs that recline more than ¾ of an inch. But I think it goes deeper than that. People talk on the train. To each other! They gather in the observation car. They read books. They play cards. They take photos of the scenery rolling by. They exchange email addresses. They treat each other like human beings. Because they are being. Instead of waiting. They are families. They are couples. They are singlets too. They are old men playing chess in the snack car. They are little boys playing Go Fish with their parents too. They are old ladies sharing their life stories with little 5-year girls, squealing at their shared love for Ed Sheeran. There is a certain amount of kindness on the train, which I believe is really the act of seeing. And listening. To each other. People listen on the train – to each other and to the conversations of others, as we all hear the creaking rails bumping along below. People look you in the eye on the train. They say “excuse me” as they walk through the hallways and pause to let you navigate the strange space in order to push open doors that connect adjoining cars. They share their train stories too. Where they are going. Where they have been. The trains they have traveled, hope to travel, and most important, how long they have been on THIS train. It’s a competition of sorts. Who has been here the longest? Who has traveled where? And why? 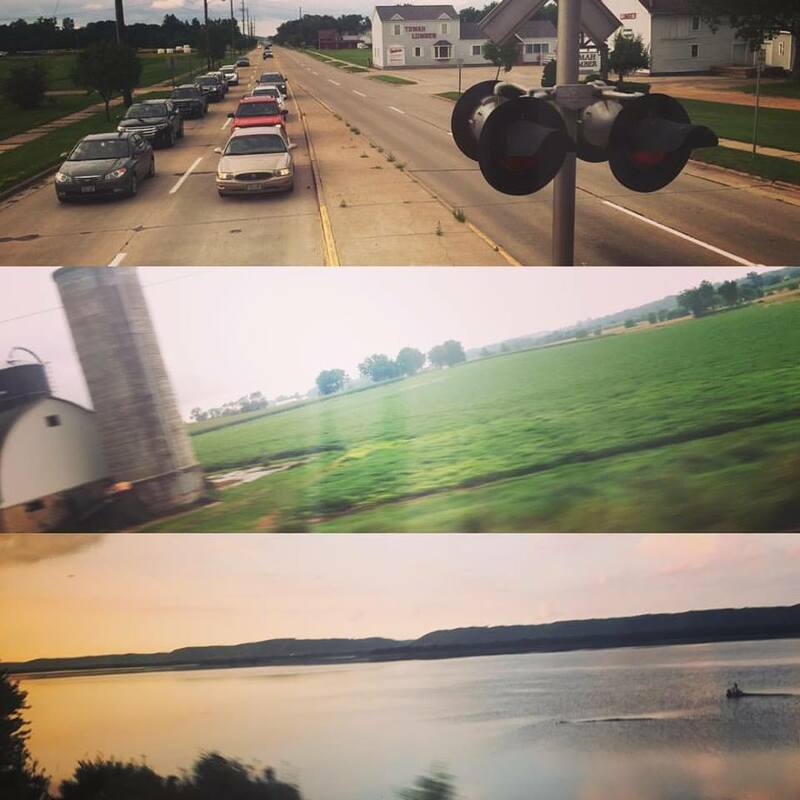 There is something so very kind about the train, I am realizing. Planes are fast. Trains are slow. But sometimes slow can be good – for the body and soul. 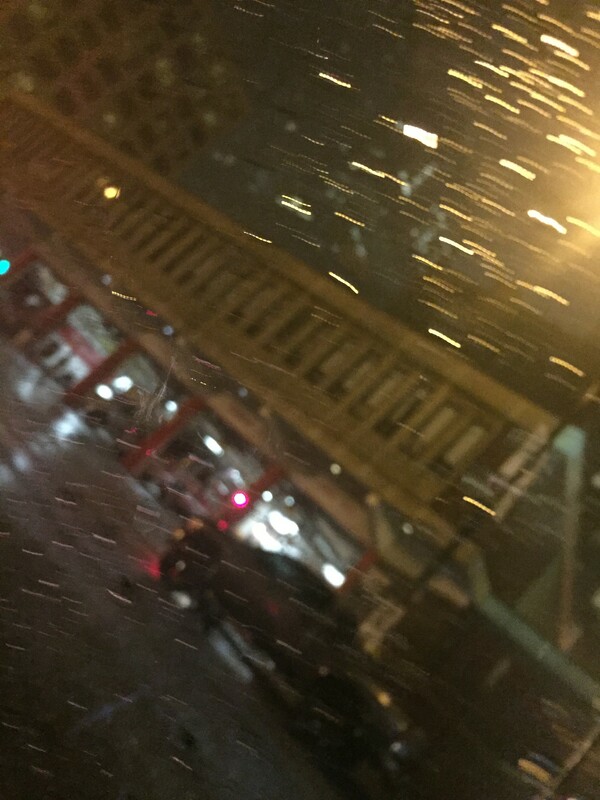 It’s POURING rain in Chicago. Sideways rain. Intense flash flood rain. Of course, it happened at the exact moment we needed to get INTO our taxi to go to dinner… and then again exactly as we needed to hop back into a taxi to return home. 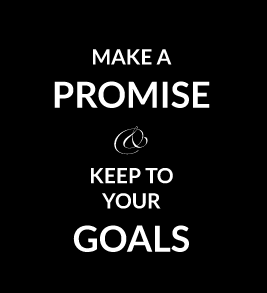 It was all worth it of course – great food, great friends, great memories and moments. 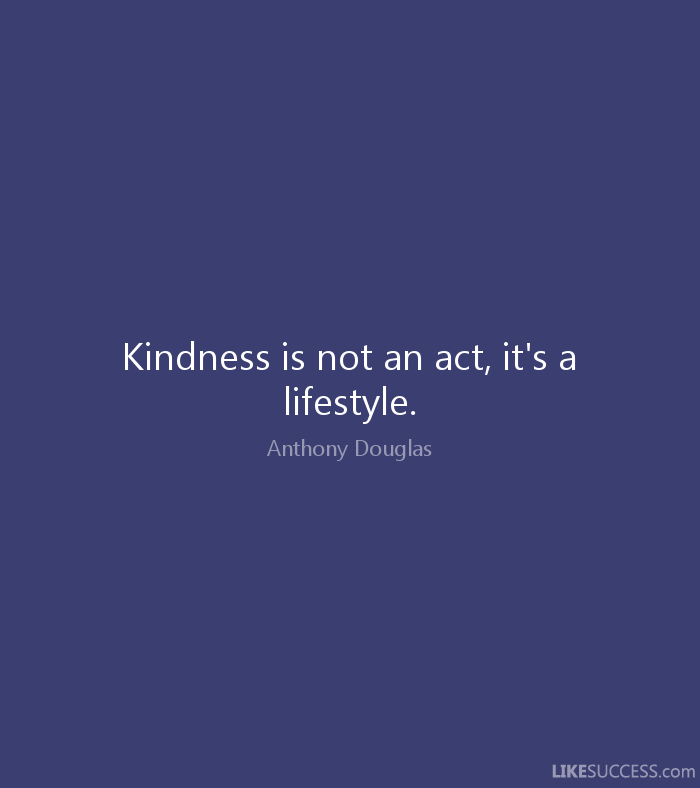 But just like kindness, if you smother with too much, too fast, it can cause a flash flood. Cause everyone’s going to get wet! I leave Chicago in the morning on a 6AM flight… and right now that is not feeling very kind of myself – booking a crack of the morning departure. What was I thinking? 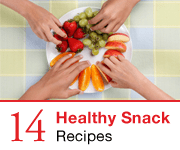 I like the sound of that – a kinder lifestyle. And right now, I’m thinking, maybe it should start with better flight times. I was thinking about fun today. Mostly because coughing and sneezing isn’t so fun. Luckily, I am on the mend! But in the vein of being KIND to myself, I treated this body to a good-for-me breakfast. 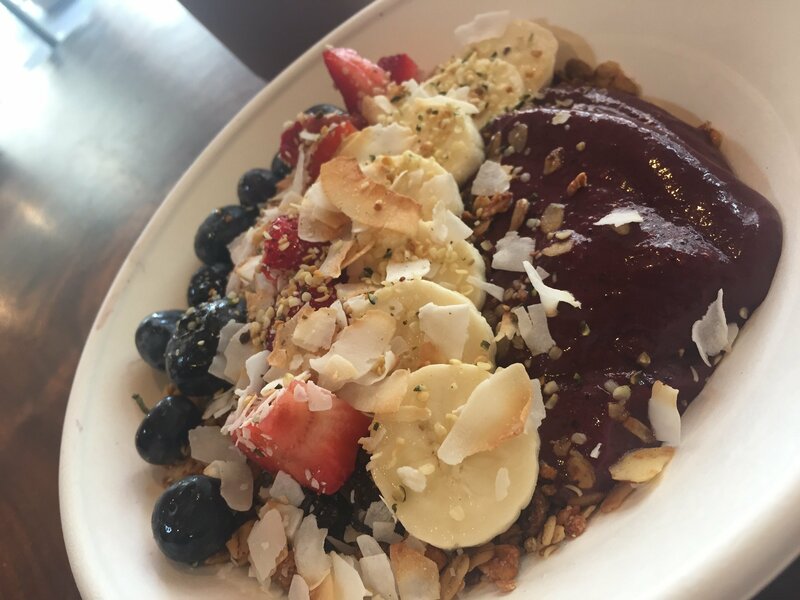 An Acai Bowl at Left Coast. And when I say Acai, I mean AHSIEEEEEEEEEY! At least that’s what my head says every time I order it. It’s so not cheap. I mean, rather pricey for ahem, breakfast. But it’s so good. And it felt good and kind. What a nice combination. They all go together nicely. It’s raining. And I’m finding myself dreaming of sun. Then I paused and reminded myself that maybe I should appreciate the rain. Maybe that would be the KIND thing to do. The intentionally kind thing to do. 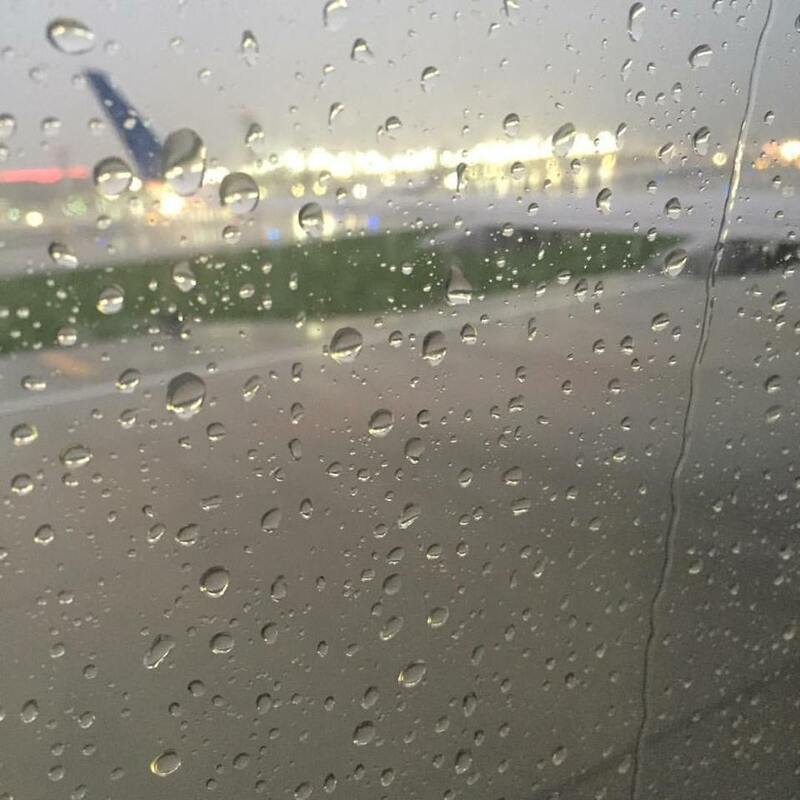 So hello wet, rainy, Chicago! I will be more kind to you. You look beautiful when you’re wet! It’s on. A 21-Day Yoga Shred. Today is officially Day 3. And I am traveling. I’m not sure how I’m going to get in a full yoga shredule with all the snow, travel, delays and the I’m finally HERE moments of this day. 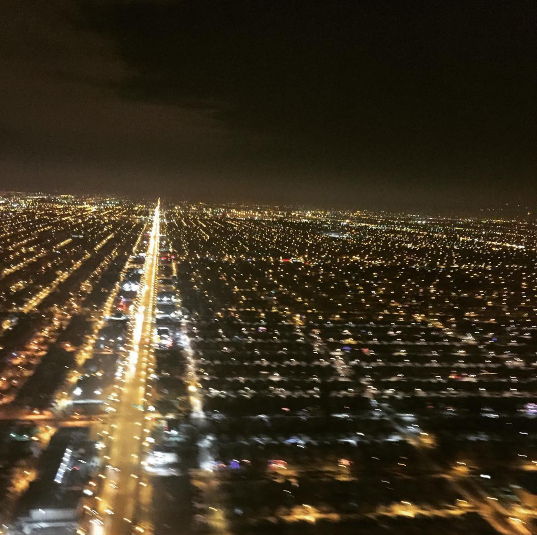 Although there was a pretty view out my plane window….Chicago looks all dolled up for Christmas with these lights. Can you see the Christmas Tree?? So tonight will be light. It’s all I’ve got in this moment. And yet, maybe that is what this yoga year is trying to whisper in my ear. Now on to yoga… shredding it and then off to bedding it. Want more? 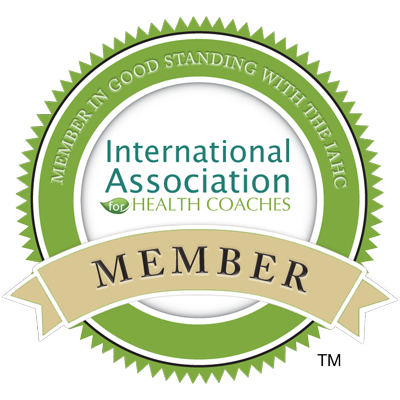 You can join the course here.